While winters are usually on the mild side in the city of Asheville, it's a different story at nearby ski resorts in western North Carolina. 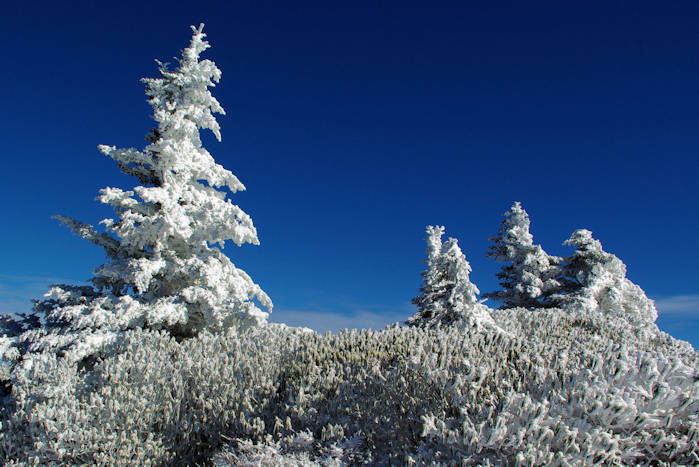 Since we have the highest mountains in the eastern United States, you will find plenty of snow, either natural or man-made. 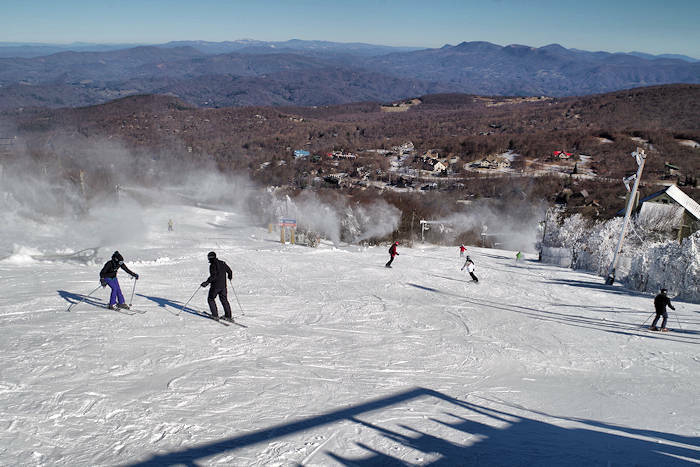 Temperatures often run 20 degrees cooler on the slopes than in Asheville, so get ready! If you don't ski or snowboard, go snow tubing. Update: Winter forecast is for much above average snowfall. When snowing, 4-wheel drive or tire chains are required to reach most of the ski areas. As the highest ski and snowboard area in the eastern US, ride 17 slopes on 95 acres. Find runs for every skill levels, with a vertical drop of 830 feet and 80+ inches of annual snow. The Alpine Village has ice skating, brewery and even a mountaintop bar. Snow tubing and terrain park. Ski vacation packages and lessons. 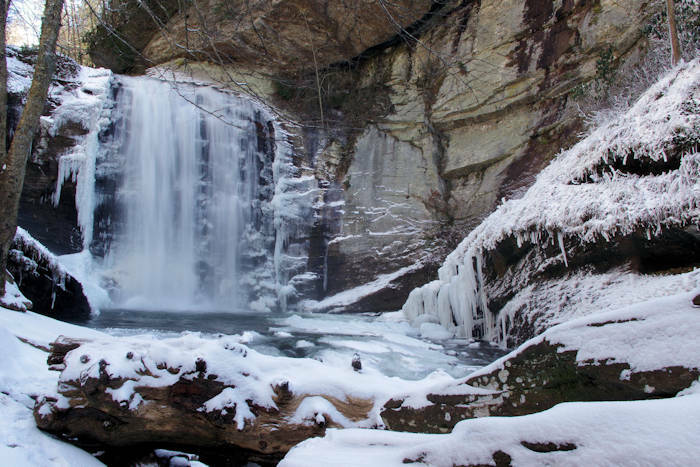 The cool small town high in the Blue Ridge Mountains is basecamp for winter fun on the slopes, adjacent to two of the largest ski resorts in the South - Sugar & Beech Mountains. Near Hawksnest Tubing. Restaurants, breweries and places to stay. Take a mile-high midweek ski trip and save! Stay two nights (Sun-Thurs) in an condo or inn and get a lift ticket for two (Mon-Fri). Ski resort opening weather dependent. Excludes Dec 18-Jan 1, Jan 21, Feb 18. Stay in a cabin or lodge room on an authentic ranch just a mile from Cataloochee Ski and get marathon lift tickets, ski or snowboard rental and a group lesson at Cataloochee Ski Area (save $50/person). Includes a hearty breakfast to start the day. Rates start Dec 14th. Beech Mountain Ski Resort will bend the space-time continuum for a righteously rad celebration with live 80s music nightly, retro skiing daily and plenty of throwback activities in between. The peak ski season is usually Christmas through February. Slopes often open as early as Thanksgiving weekend. The busiest times are usually Christmas week and Martin Luther King Birthday weekend. Since our winter weather can change quickly, check the current conditions and weather forecast at the resort before you go. It can be warm and raining one day, and frigid with fresh powder the next. If you are not experienced, there are plenty of options for lessons. Check with the resort. And, you can rent equipment at the resorts to test drive. If possible, ski midweek for better deals and many fewer people. Check road conditions if you don't have four-wheel drive. Since our slopes are usually at higher elevations, roads may be very clear in the valley but snow covered at the resort. During snowstorms, four-wheel drive or tire chains are required to reach most resorts. Dress in layers so you can easily add or remove with temperature changes. An outer shell of windproof, waterproof or water-resistant is a must. Wear waterproof gloves and hat. Even in the winter, sunscreen is highly recommended, along with lip balm and eye protection, especially on sunny days when reflection off the snow can be blinding. Goggles help during rain, snow and snow-making. Cover exposed skin to protect against frostbite during extreme cold. Don't overdo. Take breaks to refuel and rest. We seldom have enough snow for cross-country skiing. 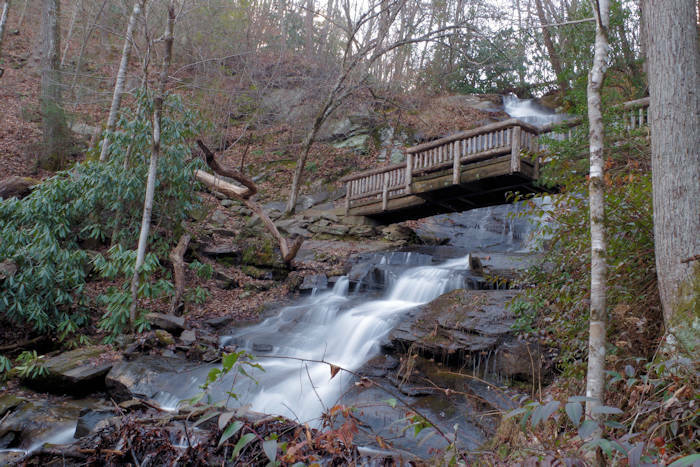 The best place to go is Roan Mountain (read more).